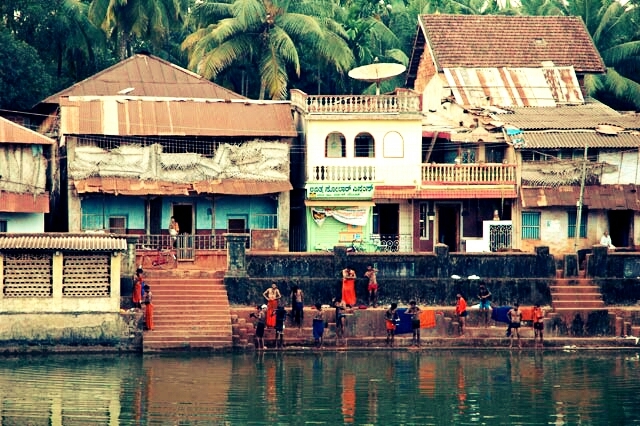 Literally meaning ‘cow’s ear,’ the quant town of Gokarna in Uttara Kannada district of Karnataka is formed by the ear-shaped confluence of two rivers and the favourite haunt of Hindu pilgrims, Sanskrit scholars, and beach buffs. 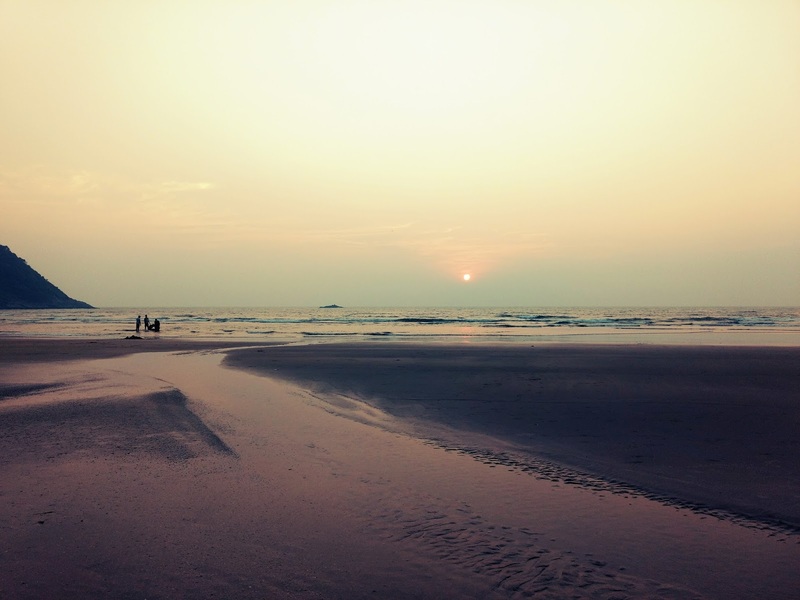 Om Beach, one of Gokarna’s five famed beaches, takes the shape of an “Om”, a Hindu spiritual symbol. The other beaches, wedged between gigantic cliffs that protrude like delicate fingers into the sea, are Gokarna, Kudle, Half Moon, and Paradise. The drive up the winding path that leads to Gokarna is a scenic delight with rocky mountains and the Western Ghats on one side, and the Arabian Sea on the other. Adventurous tourists must be prepared for a bit of cliff-scrambling in this coastal town. 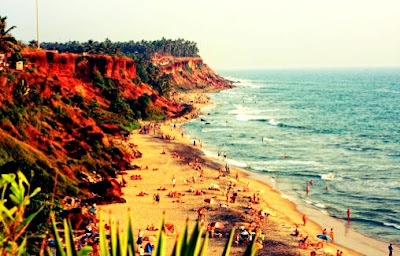 The beautiful town of Gokarna lies on the shore of arabian sea.The temples of Gokarna are incredible in their beauty. They are filled with artistic treasures and their sculptures have been fantastically created. The temple dedicated to Lord Mahabhaleshwara, an avatar of Lord Shiva. 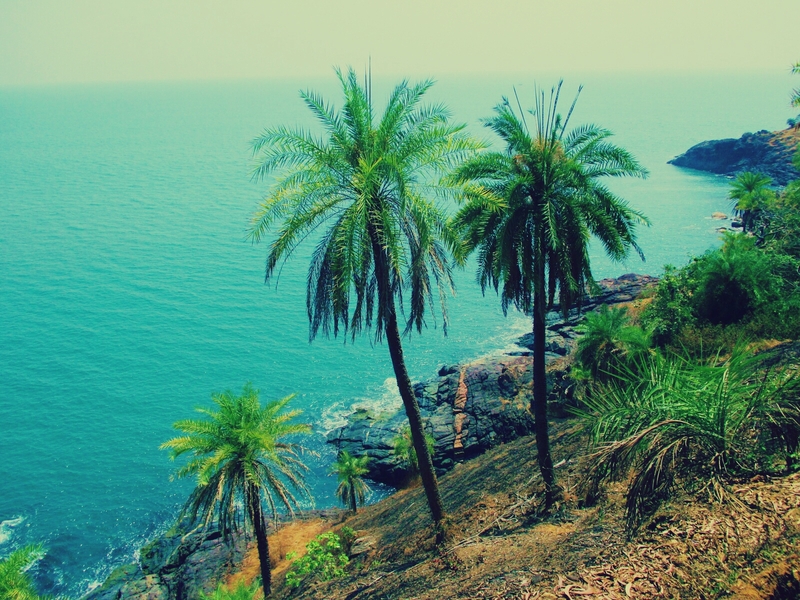 The rich beauty of Gokarna however lies in its natural vistas. Here, the two rivers, Aghanashini and Gangavali have their confluences. 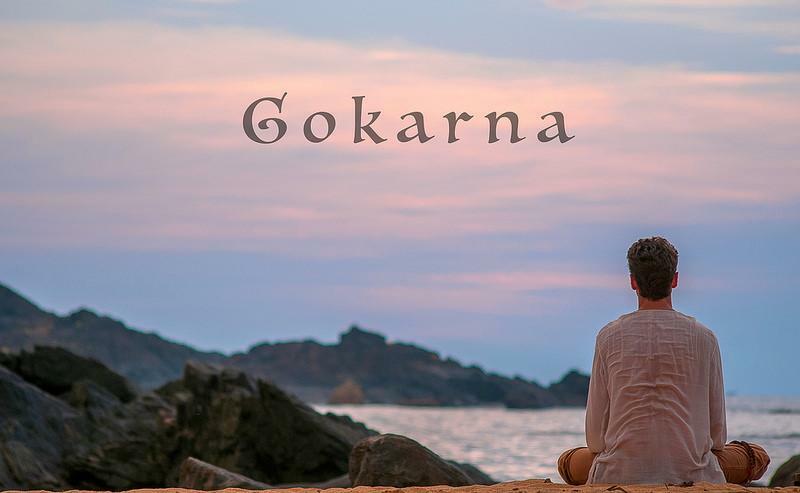 Gokarna, is a place where beauty has no end & one can dwell in world of peace. You can totally disconnect yourself from external world & enjoy warmth of nature. To an extent this place is not much on tourist destination list but it mesmerize & surprise everyone with its natural beaches & beauty. One can take a boat ride or trek up & downhill to reach five beaches which are secluded. The hikes are very easy to access and therefore, makes up for a very delightful journey. Hike from Gokarna to the beaches sprawled around the region and enjoy the luxury of cool breeze surrounded with rich, lush-green atmosphere. It will surely prove to be one of those things that will steal all your woes away. Do indulge in the hiking activity for a quick weekend getaway. 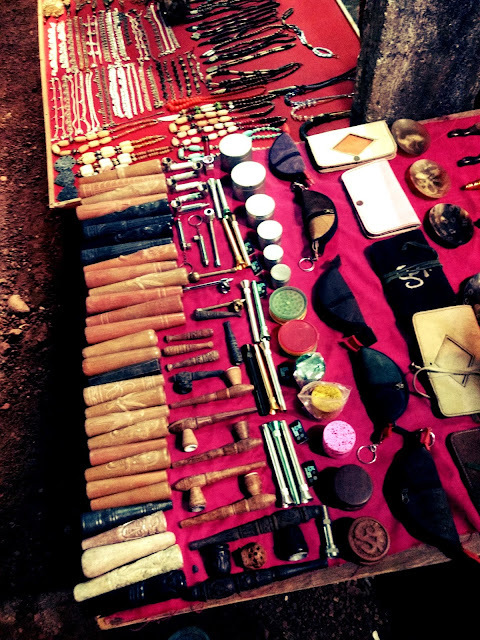 The vibrant hippie culture that prevailed back in the 80’s is still very much alive in the markets of Gokarna. Go hippie shopping at the flea market. The flea market of Gokarna has a lot of offer in terms of kurtas, harem pants, loose dresses and others. Put your bargaining skills to good use and you will surely find a good treasure. 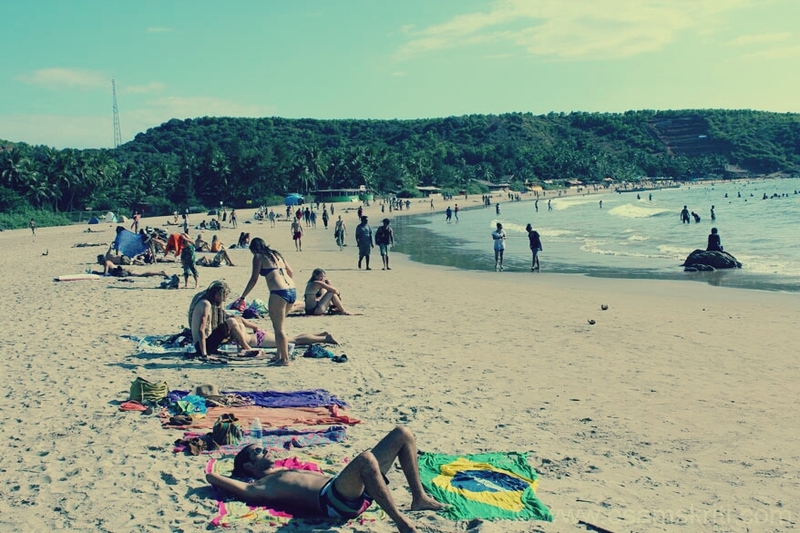 Half Moon beach comprises much of Gokarna town. 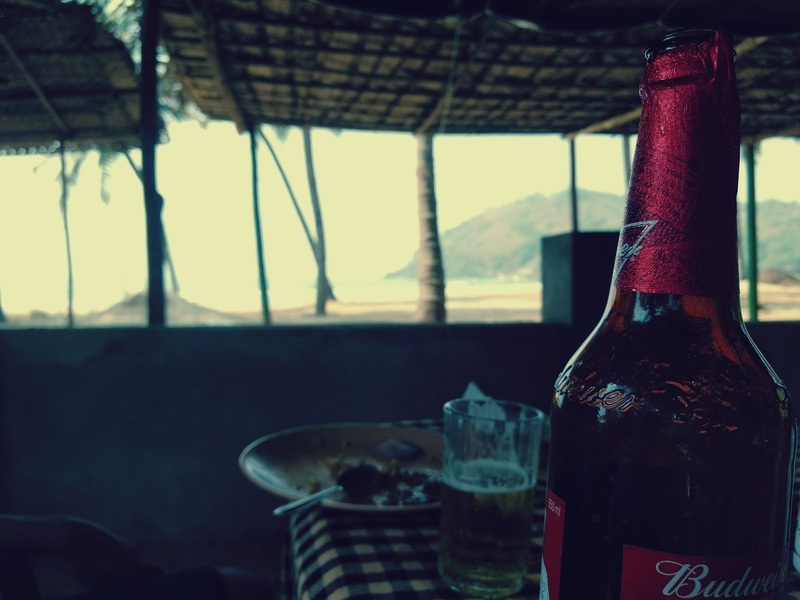 Experience the scenic view of the Arabian sea from Half Moon beach while you sip on beer. Don’t forget to take a selfie while you’re at this place. It is one those must have experiences in Gokarna. Take a walk along the coast of Om beach and you will realize that the beach actually has an Om shape. For the best view of this shape, stand by the rocks that are lying right at the beginning of the beach. Don’t forget to capture this moment. One of the most exciting things to do in Gokarnais to explore the town at night. No matter what you say, there is a different kind of experience at any place during the night. The trail from Kudlee to Gokarna is safe and walking to the sounds of the waves is extremely calming. 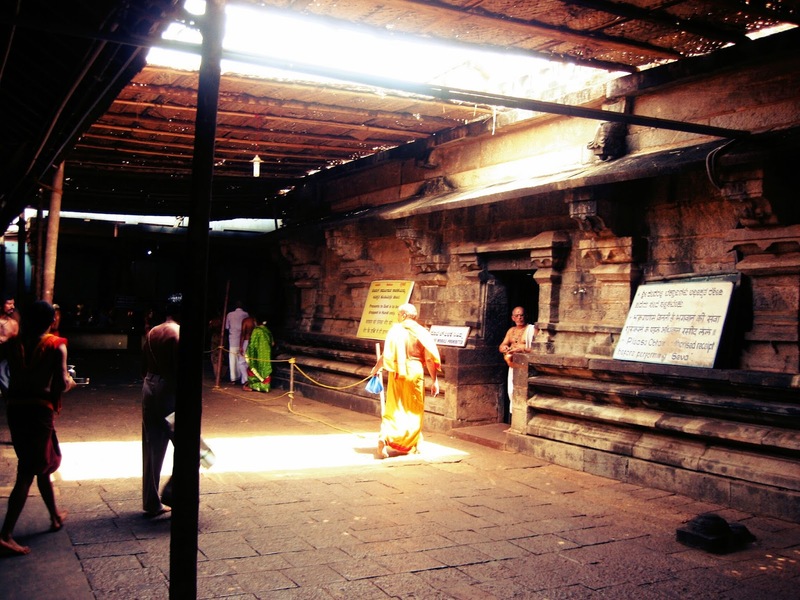 Like mentioned previously, Gokarna is home to many temples. In fact, it is considered to be prime pilgrim spot for the Hindu community. Visit the Shiv Ling of Gokarna and attain the Lord’s blessings with a pure heart. Everyone needs their private time. There is certainly no denying that. Take a walk along Paradise beach and try reconnect with Mother Nature. You will surely discover peace. 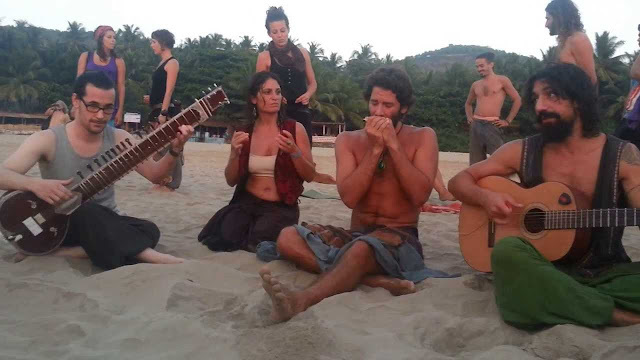 It is one of those must have experiences in Gokarna. Kudlee beach is located on top of a hill lock in Gokarna. This place is filled with guest houses, mud huts and other cute little locks which you will enjoy exploring. If you want to learn yoga, there are facilities offered by the local inhabitants as well. The cool breeze outside the temple is what characterizes the temple as one of the most beautiful in town. Celebrate Shivratri at Mahabaleshwar temple and relax at the nearby lodges when you’re tired. This is one of those primary things to do in Gokarna. 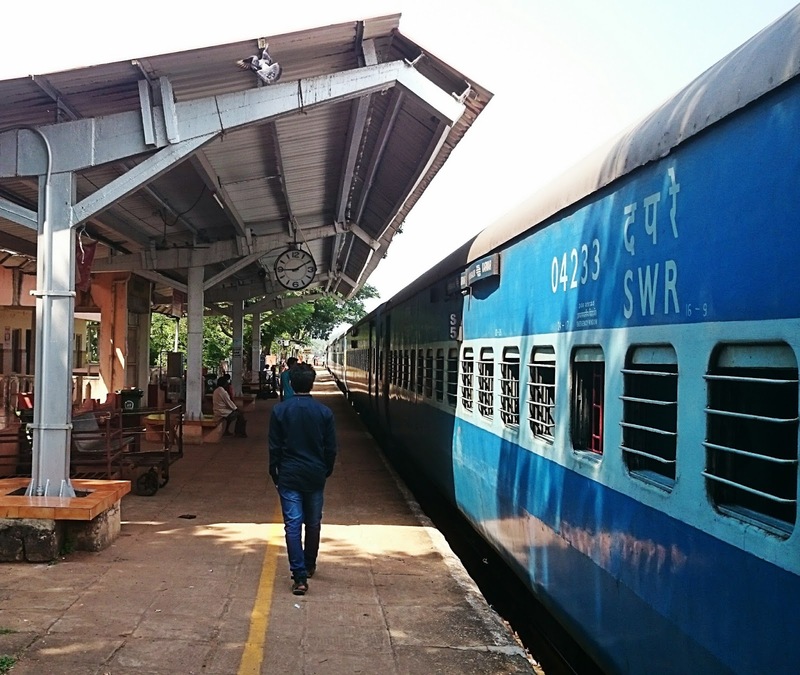 One of the most important places to visit in Gokarna is the Kotitirtha region of the town. It is lined with cute, pretty – looking houses along the pond – like lake. Don’t miss this must have experience in Gokarna. The Shiva Caves is in the middle of nowhere. It is extremely dark inside for obvious reasons. So be sure to carry a flashlight while you are on your way to the place. It will prove to be an adventurous experience in Gokarna. 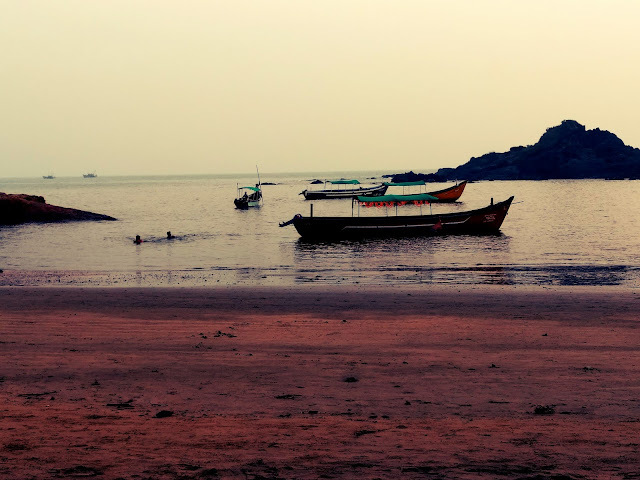 There are many beaches in Gokarna itself that are quiet empty most of the nights. If you’re traveling with your family, lighting a bon fire and chilling by the place is perhaps, the best decision you’re ever going to take. For the sheer sense of pure fun, you must enroll yourself for one of these banana boat rides sessions. Imagine yourself lashing against the waves and turning upside down while splashing joyfully into the beautiful Arabian Sea. It will be worth your time, we promise! Although, there are many places to grab quick delicious bites at Gokarna, the Prena Restaurant definitely tops the list. This is like a jackpot for you especially if you’re a foodie. This is a must have experience in Gokarna. 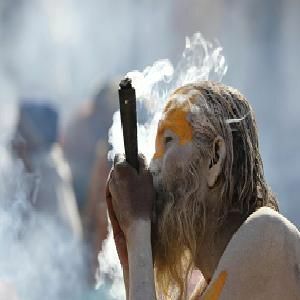 Owing to the fact that,Gokarna has become a backpacker hub in the past few years,one will find weed which is a form of cannabis i.e marijuana being sold on the quite in this town but keep in mind that smoking such stuff is illegal in INDIA. 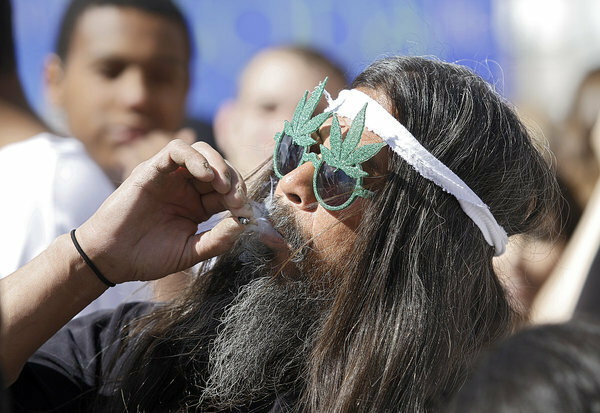 Since there is a huge demand for weed from both the Indian and Foreign backpackers, there are plenty of shops in a flea market selling chillums and bongs of various types. You can imagine the purity that exists at this place for it is filled with minimum amount of vehicles. What does that indicate? Well, less pollution; therefore, clearer skies. Go star – gazing one of the nights after having a good dinner and you will have the time of your life. The nearest railway station is Gokarna road, about 10 km from Gokarna. 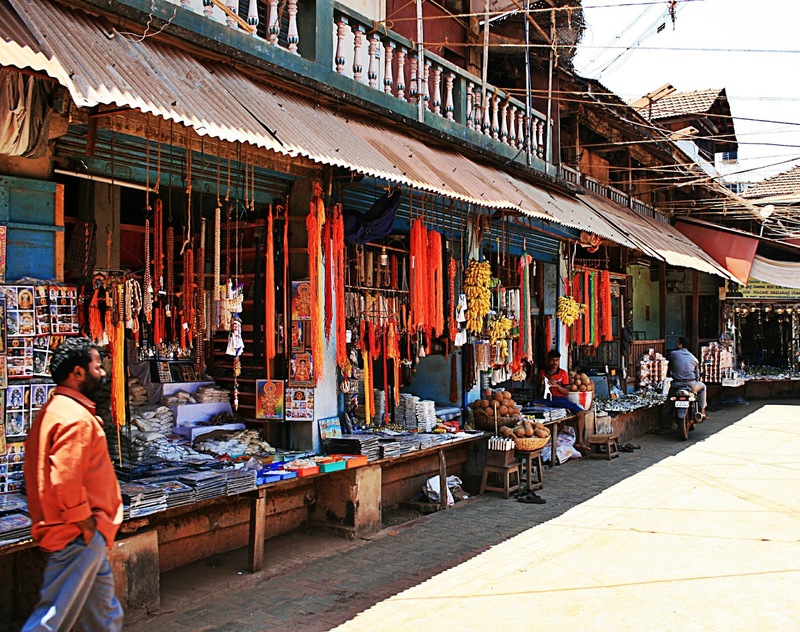 Gokarna is connected to other cities through a network of roads and highways. KSRTC buses service regularly from Bengaluru, Mangalore, Hubli, other cities of Karnataka.